What can you hack a Kinect to do? What can't you hack a Kinect to do? Control a robot? Check. Model the human skeleton? Check. 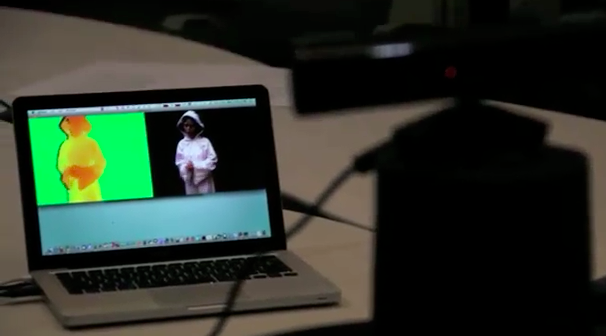 Now MIT Media Lab researchers used a Kinect to capture holographic video, which they then were able to stream over the Internet. The most amazing part isn't just the fact that MIT used a $300 gaming accessory to pull this off; it's that--as MIT points out--University of Arizona researchers recently built a similar system that used 16 cameras, and could broadcast at 2 frames per second. MIT's setup? One camera (the Kinect), 15 frames per second. Now that's impressive. And as if all this wasn't geeky enough, in this video demonstration, MIT spoofed the Princess Leia hologram message from Star Wars. Check out the video, and see MIT's site for the full skinny.